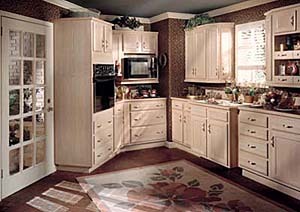 Liberty Kitchens & Design offers professional kitchen remodeling, cabinet replacement and installation to residential homes throughout Carroll County Maryland. If you are looking for a local kitchen remodeler in Carroll County Maryland with years of experience with remodeling kitchens make sure to call or email us today. Services offered include: Cabinet Installation, Cabinet Replacement, 3D Kitchen Design Mockups, Kitchen Remodeling, Kitchen Islands, Countertop Replacement, Custom Bookcases, Bathroom Remodel, Family Room Remodeling, Custom Cabinets, Basement Remodels, Master Bath Remodel and more. We serve homes in Sykesville, Eldersburg, Westminster, Taneytown Maryland, Hampstead, Manchester, New Windsor, Mt. Airy, Finksburg, Gamber, Taylorsville and Union Mills MD and all zip codes in Carroll County Maryland: 21048, 21074, 21757, 21088, 21764, 21102, 21104, 21771, 21776, 21136, 21784, 21787, 21791, 21155, 21157, 21158, 21797. If you don’t see your city listed, please call or email us to see if our services are available in your area.
" Liberty Kitchens (Bruce Fusselbaugh) installed cabinets, ceiling lights, drywalls, removed wall. Built a peninsula and coordinated counter installation. He painted, spackled and installed new exterior door. He had helpful advice and ideas. Gorgeous job."